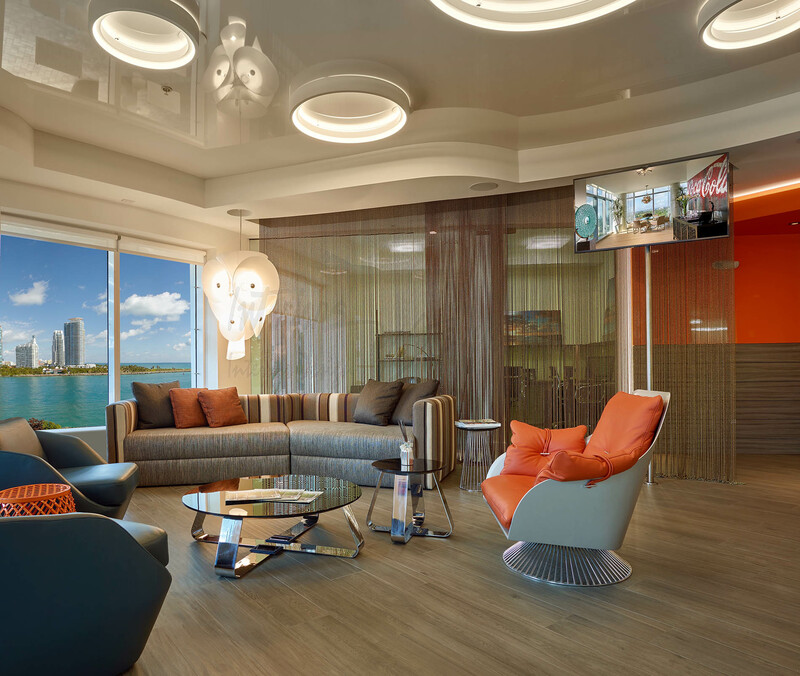 Psychology of Design Blog | Interiors by Steven G.
Commercial interior design plays a pivotal role in the success of any business…but what is it exactly? In today’s post, I reveal the ins and outs and the importance of commercial property interior design for businesses. What is the difference between residential and commercial interior design? While residential interior designers focus on homes, commercial interior designers conceptualize spaces for businesses. This would include hotels and lounges, restaurants and retail spaces, offices, banks, theaters, hospitals and examination rooms, libraries, schools, country clubs, spas, shopping malls, and everything in between. Is the distinction really that important? Yes! Homes and businesses have different design needs. 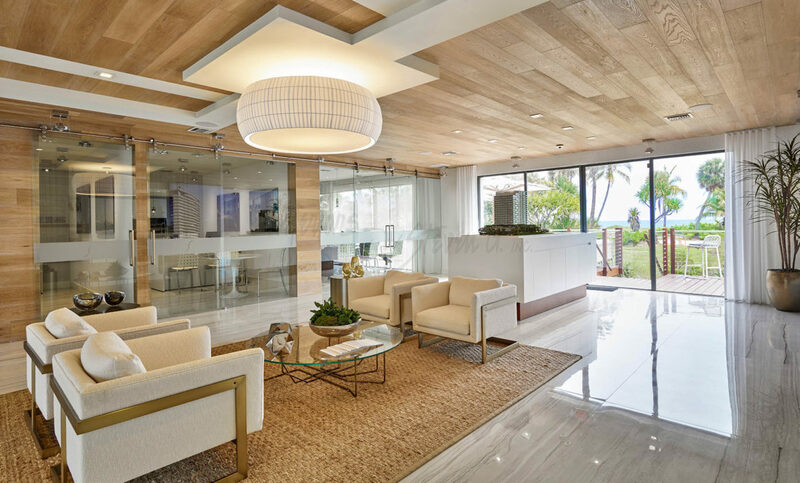 Residential interior design is all about creating welcoming and livable spaces for homeowners, whereas commercial design seeks to increase functionality and elevate style for financial gain. 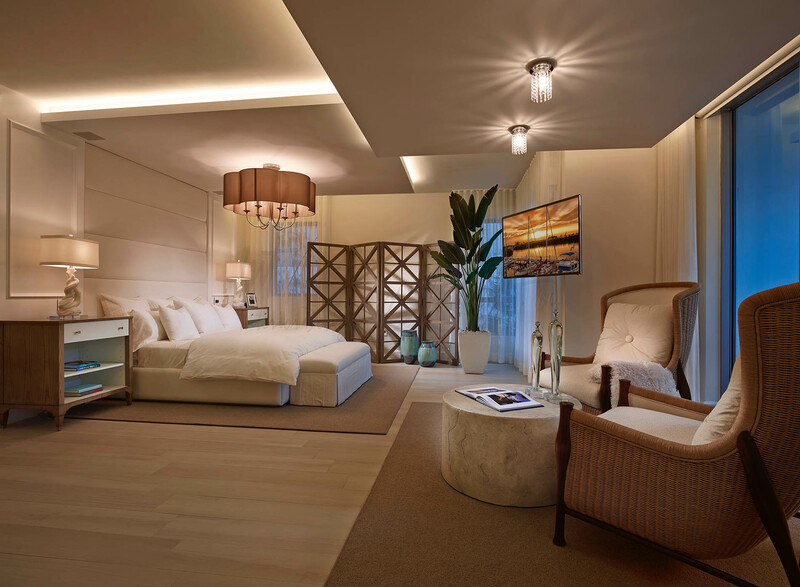 Whether it’s a luxury hotel developer or a small business owner, it is up to the commercial interior designer to translate the client’s vision in ways that are practical, profitable, and of course, chic. 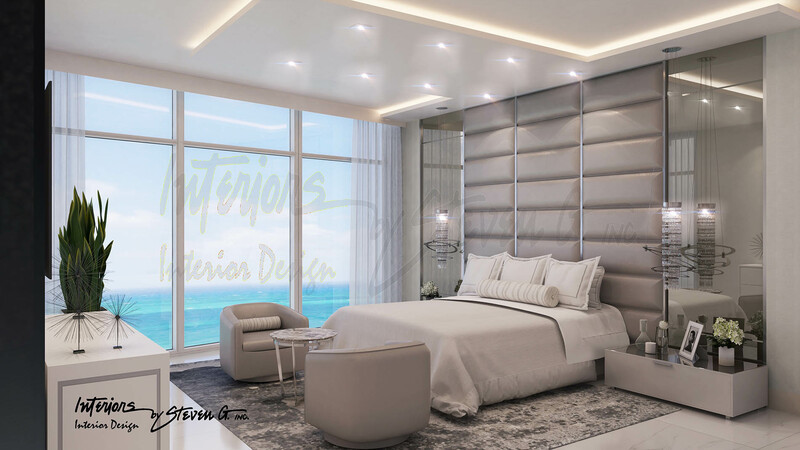 Because the scope of work is much larger than residential projects, commercial interior designers in Miami usually take on more responsibilities. 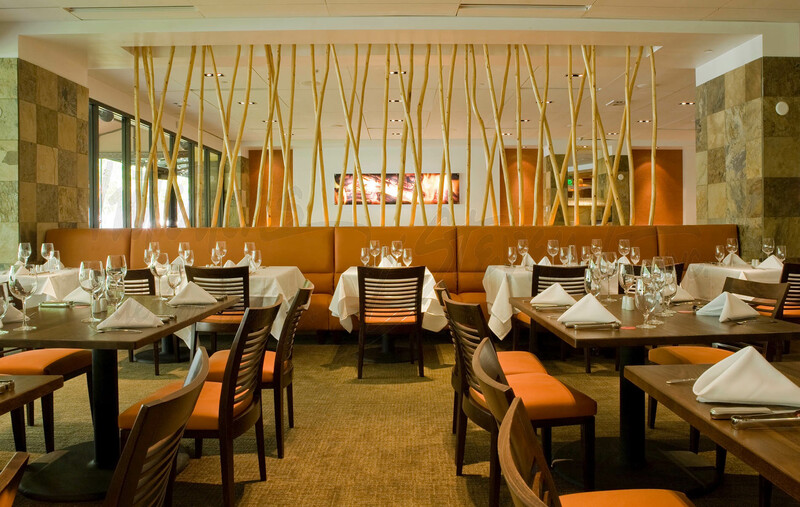 Commercial interior designers are trained to prioritize functionality and safety without sacrificing style or aesthetics. 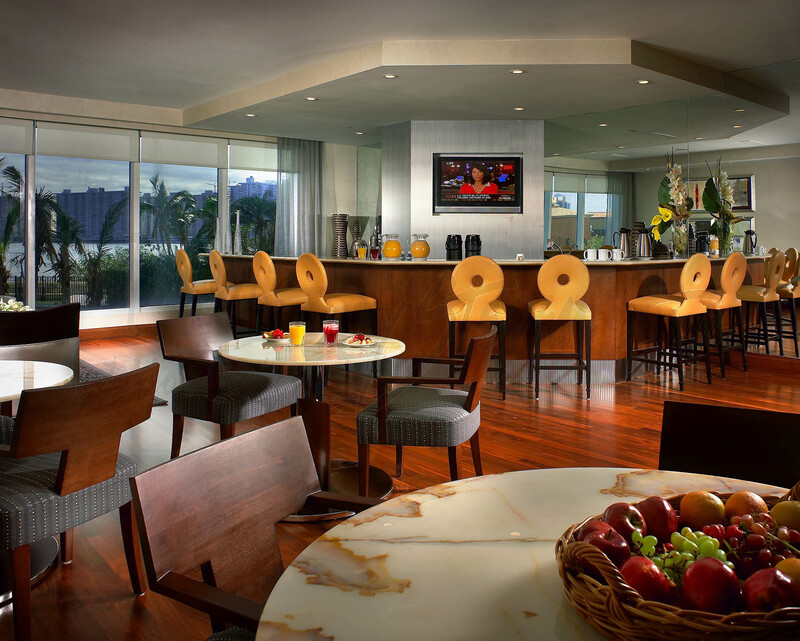 For example, a luxury hotel needs to accommodate a certain amount of guests if it wants to maximize profits. But in order to do so, the hotel has to impress guests with spacious rooms, lavish bathrooms, and breathtaking views. 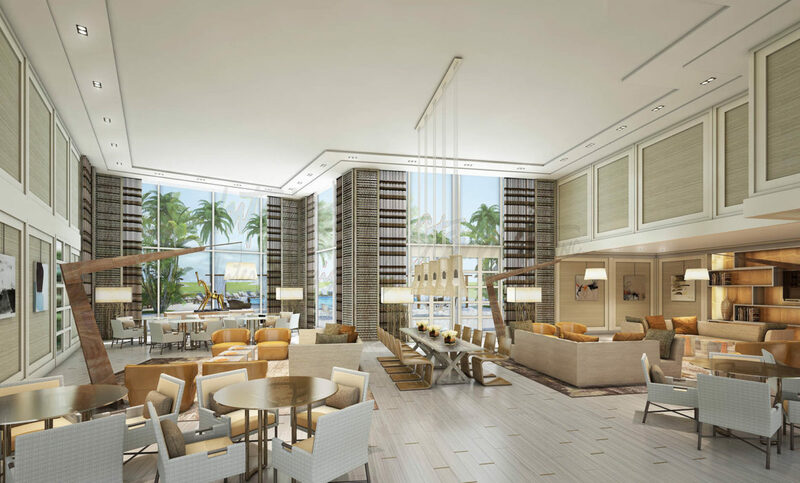 It should wow guests with its lobby, and make room for high-end amenities including spas, saunas, gyms, outdoor spaces, pools, and a restaurant and bar. It falls on the commercial interior designer to make all of these requirements come together into one usable and beautiful space…and they are more than qualified to do so! 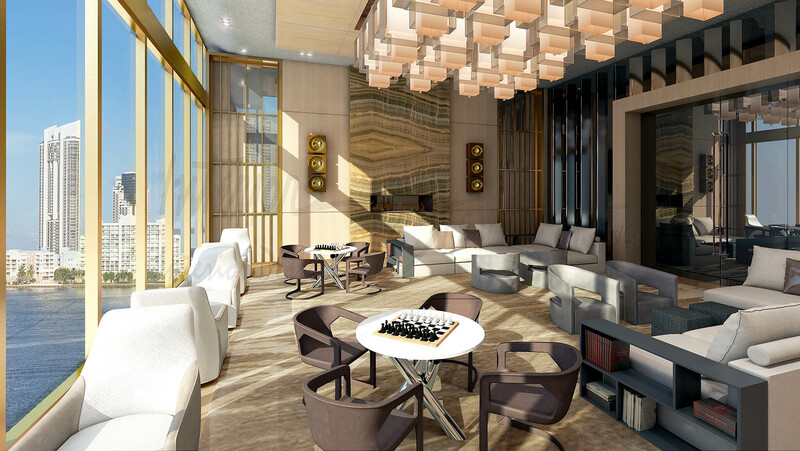 Commercial interior designers know how to space plan without surrendering design. They are also trained to ensure that everything within the physical structure is safe and up to code. 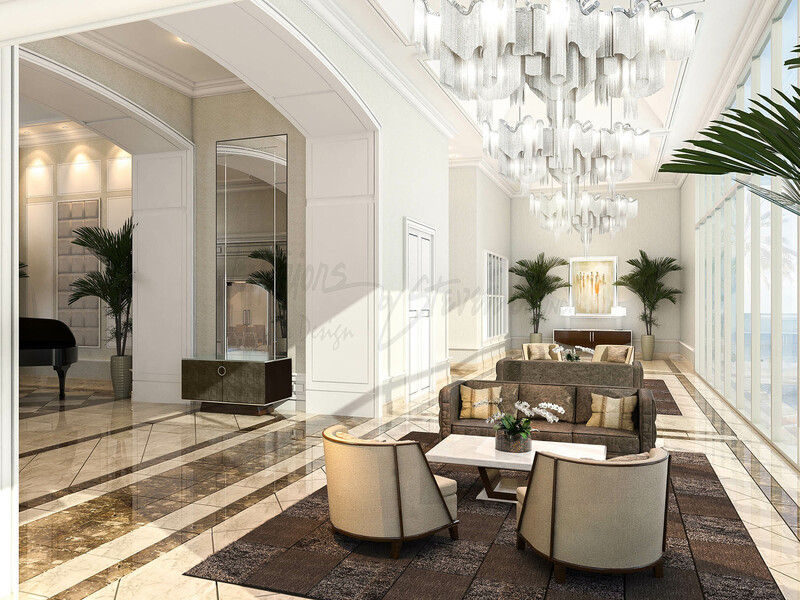 They are heavily involved in the renovation and construction process, and work closely with contractors and manufacturers to make important structural decisions including architectural details, lighting, floor and ceiling design, window placement, and technological upgrades. 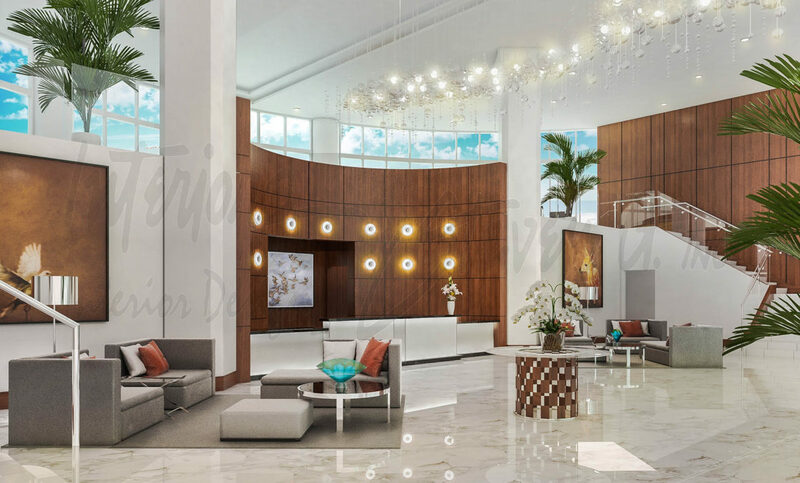 Commercial interior designers also define the project’s scope of work, draw schematics and blueprints, select the right materials, and oversee budgeting and scheduling, along with other important duties. Once the construction phase is complete, the designer then transforms the physical structure into a living and breathing space in the decorating process. 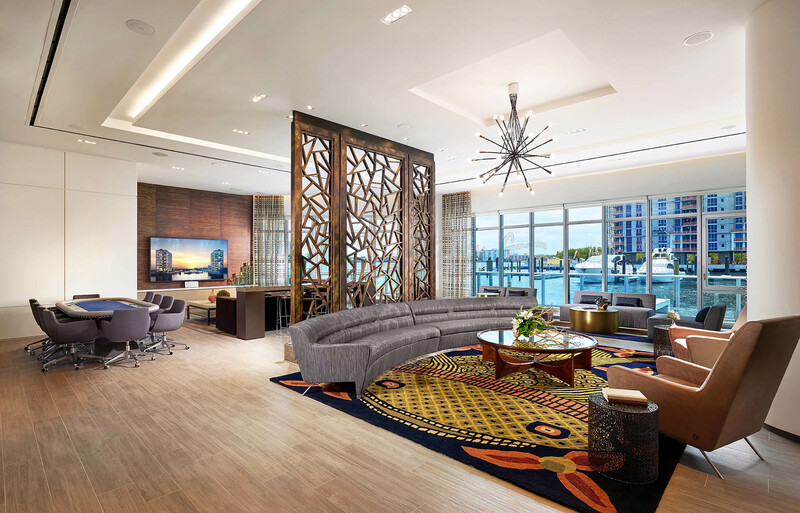 Commercial interior designers choose motifs and styles that suit the needs of the business, and then bring it to life with the right color schemes, furniture, fabrics, wall and window treatments, artwork, accessories, and finishes. A talented and experienced commercial interior designer has the power to transform a failing business into a booming one. They thrive on fast-paced projects, can communicate the needs and visions of various businesses, and have the innate ability to conceptualize large spaces that everyone from clients to guests to customers will love. 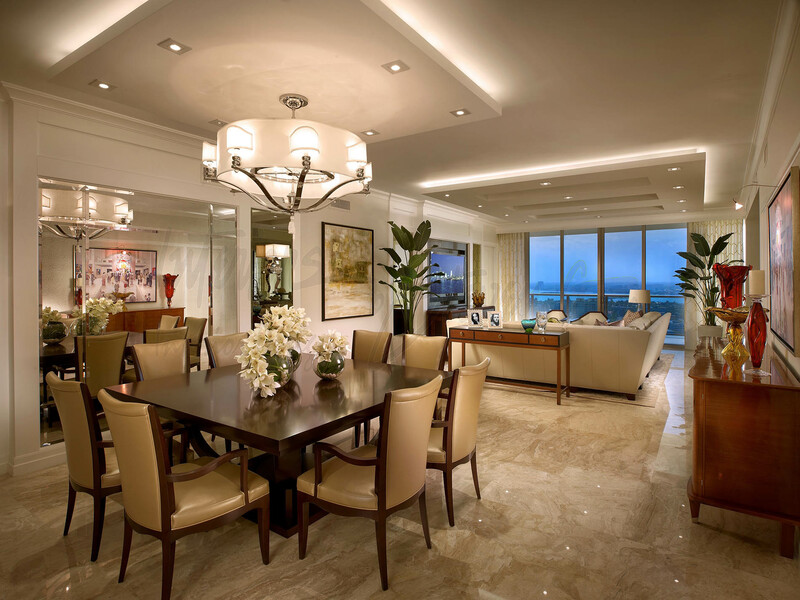 Transitional interior design is a fusion of traditional and contemporary styles. 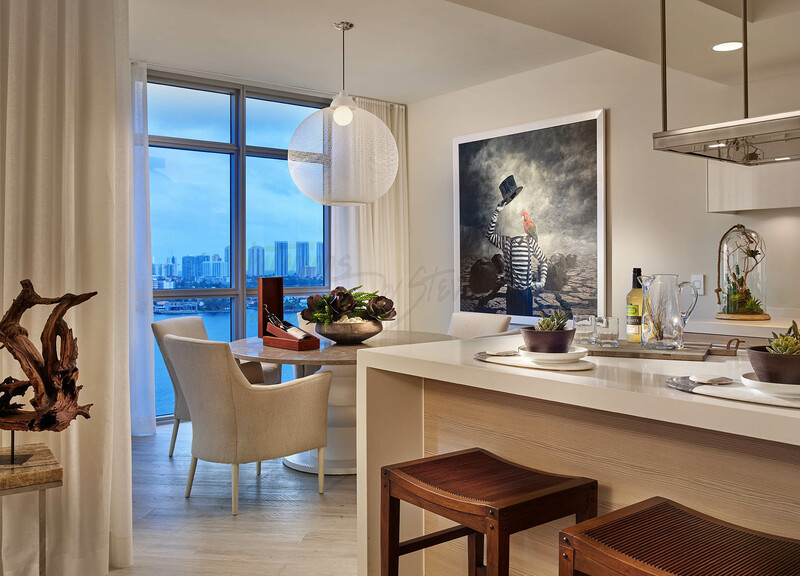 It borrows from the best of both worlds to create a balanced and sophisticated space attuned to your needs, tastes and lifestyle. If you swoon over the classic shapes and silhouettes of traditional design, but just can’t get enough of the minimalism and open concepts of contemporary, then transitional style is for you! Today I’m sharing the characteristics that define transitional design so you can start incorporating them into your home décor. Similar to contemporary design, transitional spaces tend to have neutral color palettes. 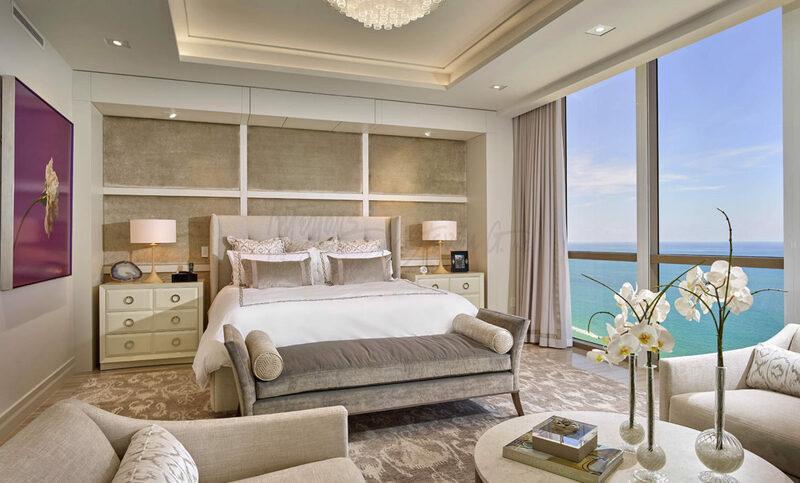 Designing a home in shades of tan, beige, taupe, ivory and grey will make the space feel peaceful and comfortable. Neutral wall colors also serve as the perfect backdrop for your furniture, accent and statement pieces, and artwork. Furnishings are a perfect blend of traditional and contemporary elements. Transitional furniture pieces tend to have more classic shapes and silhouettes, but are smaller in size with less ornamentation. (You might even find a few antiques!) You can play around with patterns and accent colors in your upholstery, wall treatments, and accessories. Have fun! Similar to its contemporary counterparts, transitional style home design celebrates clean lines and simple architecture. This style has a wonderful mix of straight and rounded profiles to achieve a balance of feminine and masculine design elements. 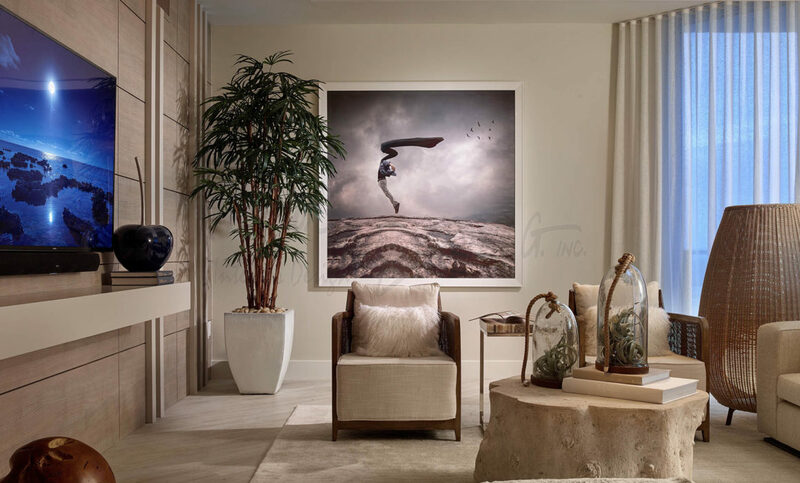 Touches of natural elements will make any space feel warmer and more welcoming…and this style is all about serenity! Accents of rich woods are a prominent defining characteristic in transitional design to complement the neutral color schemes and add more visual interest. 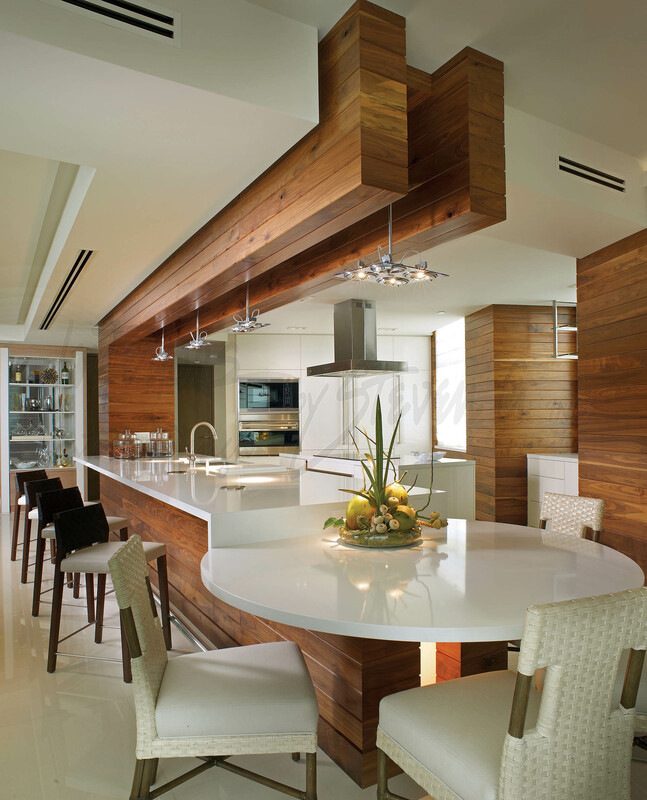 Borrowing from traditional design, transitional spaces often have built-in cabinetry. Wood paneling can also be found in this style as a wall or ceiling feature. Again, hints of wood add even more warmth to the room. This style also incorporates stone, granite and marble, as these materials work beautifully with both contemporary and traditional features. Neutral colors aren’t just limited to the walls! Light hardwood floors and tiles are popular choices in transitional décor. Just like in traditional rooms, rugs are used in this style to make the home that much cozier. This gives you the opportunity to have fun with shapes, patterns and textures! Transitional spaces take a more minimalist approach when it comes to decorating. You’ll find simpler ornamentation, fewer accessories, and elegant finishes. 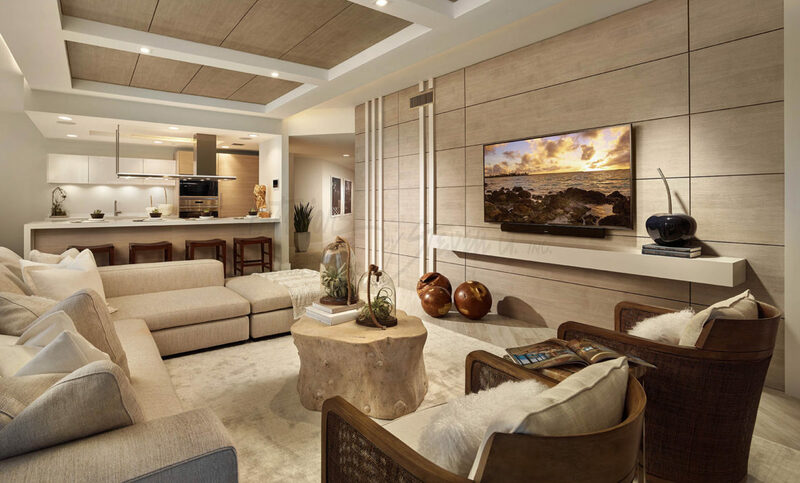 With its simple lines, refined furnishings, and neutral color palettes, transitional design could be defined as the epitome of understated sophistication. 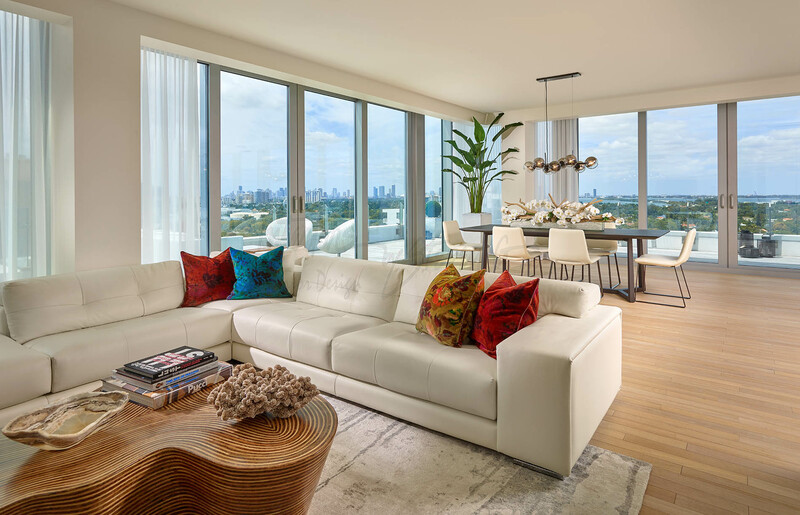 It’s no wonder this style has become a Miami favorite – it takes the best elements from both contemporary and traditional design to create a warm, elegant, and timeless space. Investors can make big money by renovating and reselling distressed and neglected homes. That being said, not all renovations are created equal. Today I reveal the best renovation projects that will get the highest return on your investment. Investors become so focused on the interior design of a home remodel, that they often overlook the exterior. First impressions are everything! Would you want to purchase a home that has a dying yard and dilapidated siding? Of course not! Curb appeal is extremely important when it comes to selling homes. Make sure to budget for landscaping, exterior renovations, and additional architectural elements. Similar to interior renovations, there is a wide range of cost-effective options for exteriors that look and feel expensive. Incorporating a beautiful entryway into your home is another way to make a lasting impression with homebuyers. 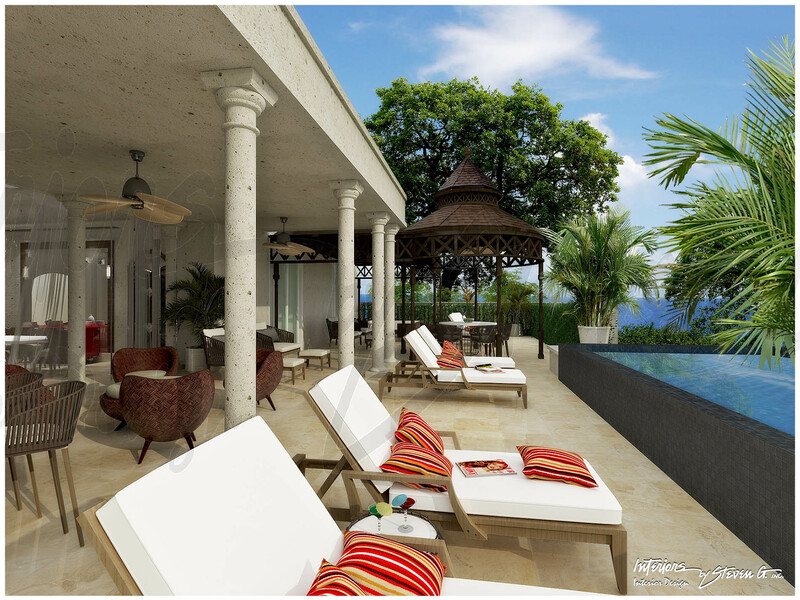 Investors should also consider high-end amenities including outdoor living spaces, gardens, and swimming pools. 1) Go open concept – Most homebuyers are looking for open concept living, and the kitchen is no exception. Knocking down walls is a smart way to make a small kitchen feel larger. To create a timeless space, choose a simple design and floor plan that blends seamlessly with the rest of the home. 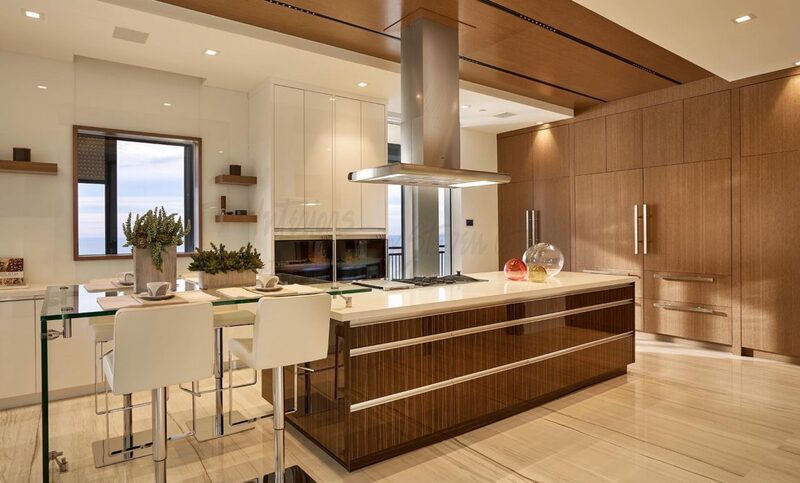 2) Islands – With an open concept kitchen, you will need to maximize storage without sacrificing sightlines. 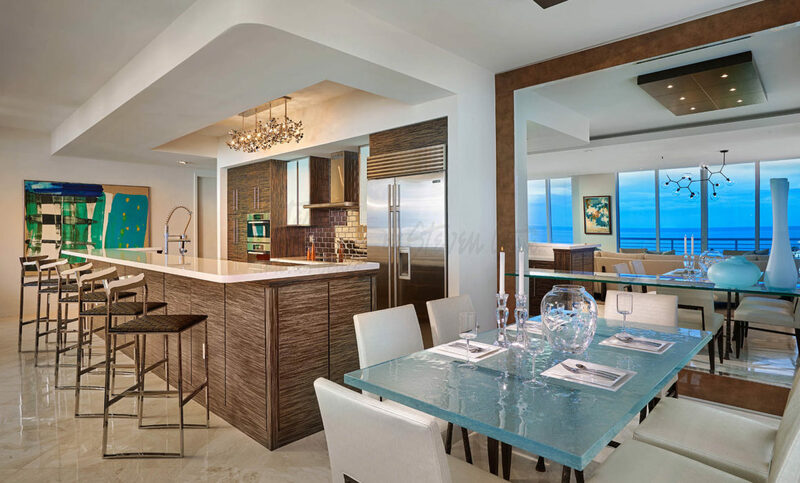 Adding a large island will create that touch of sophistication every homebuyer is looking for. More than just visual impacts, kitchen islands improve functionality, have additional storage, and provide additional seating. 3) Beautiful kitchen cabinets – Cabinets play an essential role in a renovating a kitchen. What is the condition of your existing kitchen cabinets? Giving your existing cabinets a make over is a great way to cut costs while still creating a refined space. But remember, only move in this direction if your cabinets are in terrific condition. Buyers will expect the best. No cutting corners! There are plenty of affordable, high-end options out there if you need to preplace your cabinets entirely. Make sure to pick cabinets that stay true to the style of the home. Shaker style is great for traditional homes, and flat-door designs are perfect for contemporary spaces. To add more visual interest, try experimenting with glass-front cabinets and open shelving. 4) Don’t forget the finer details – Choose affordable materials and finishes that look elegant. Quartz countertops are less expensive than marble and granite for example, but look just as beautiful. (Quartz is also a favorite among homebuyers.) Be thoughtful with your selection of hardware, architectural details, accessories, and color palette. What are buyers looking for in your neighborhood? Remember, no detail is too small. Buyers also expect energy efficient appliances in high-end homes. 1) New and contemporary – Similar to kitchens, homebuyers are looking for upgraded bathrooms in contemporary styles. To impress buyers, you will need to replace the toilets, bathtubs, and possibly the vanities. 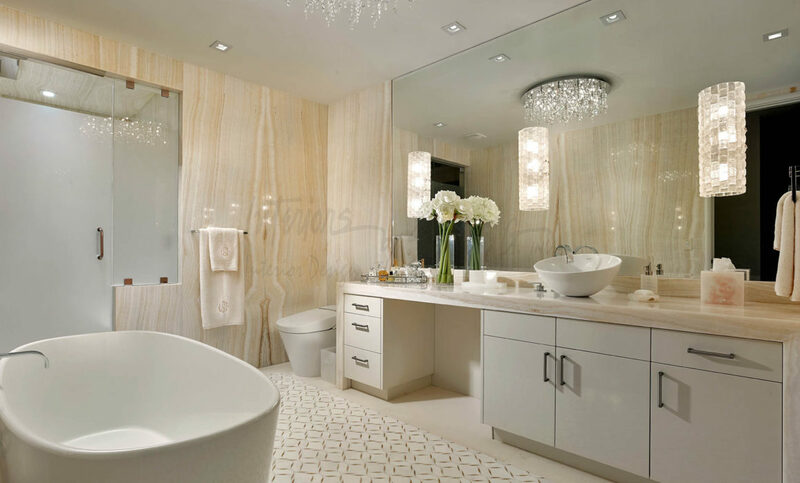 Renovating your bathroom in a neutral color palette will make the space feel bigger, brighter, and cleaner. Look for contemporary faucets and hardware, elegant finishes, and cabinetry that look expensive and make life easier for homebuyers. 2) Freestanding bathtub – Nothing says luxury like a freestanding bathtub. You want to create a peaceful space where homebuyers want to unwind after a stressful day. Again, you can find affordable options in a wide range of styles that look upscale. Depending on what buyers are looking for in your specific neighborhood, you can punch up your bathroom with wallpaper, glamorous lighting, and pops of color. 3) Refined showers – Create an elegant oasis by incorporating unexpected tile design, showerheads, and even technology. Rainfall showerheads are a cool design feature that provides a luxurious showering experience. If you have the space, open showers and benches are also a favorite among homebuyers. 4) Maximize storage – Organized bathrooms are attractive to homebuyers. His and hers vanities and contemporary wall units provide plenty of storage without compromising design. No flip is complete without a master suite. Walk-in closets, spacious en suites, and lots of natural light are features every investor should consider when renovating the master bedroom. High-end flooring is also important for resale. Hardwood or tile floors are more expensive than laminates and carpeting, but are more popular with buyers. Again, keep a neutral color palette. Buyers can be turned off by bold interior design. Keeping the space neutral will help them envision how their style would translate to the home. Steven G just made history. 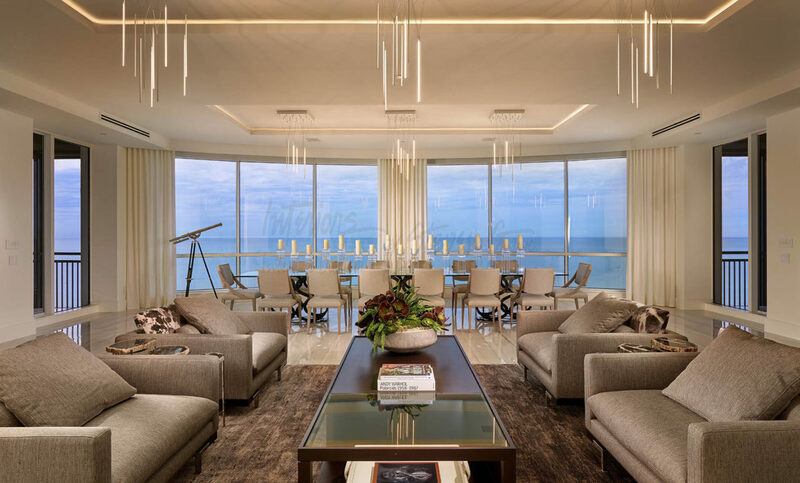 The Seasons at Naples Cay just sold the most expensive furnished penthouse of all time…and our very own Steven G designed it! 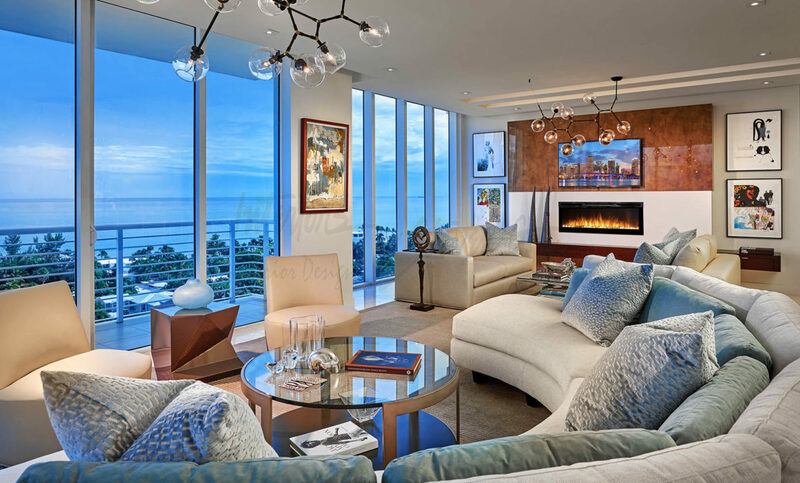 Complete with 360-degree ocean views, this breathtaking unit sold for a record-breaking $14.7 million. 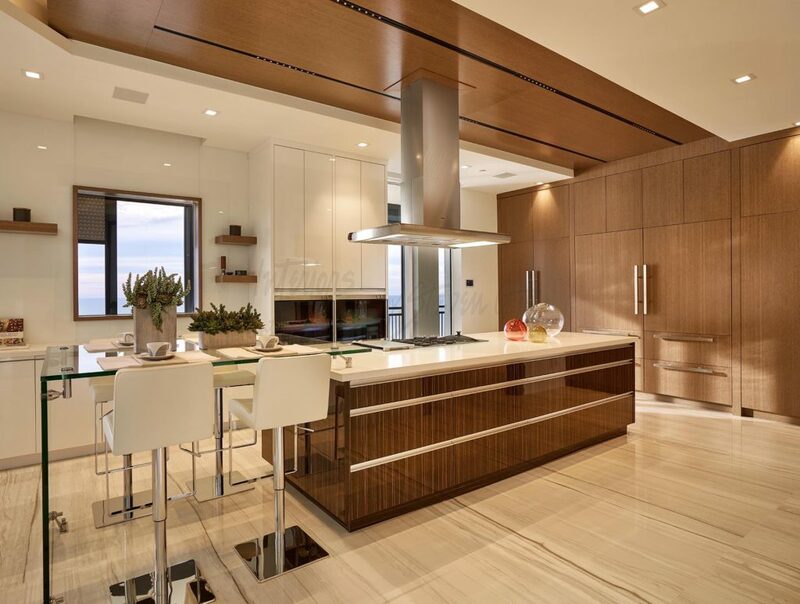 Steven G renovated this penthouse from top to bottom, and it is 13,000 square feet of pure luxury. The home features five bedrooms, five and a half bathrooms, lavish walk-in closets, and a 1,750 square feet balcony for spectacular outdoor living. 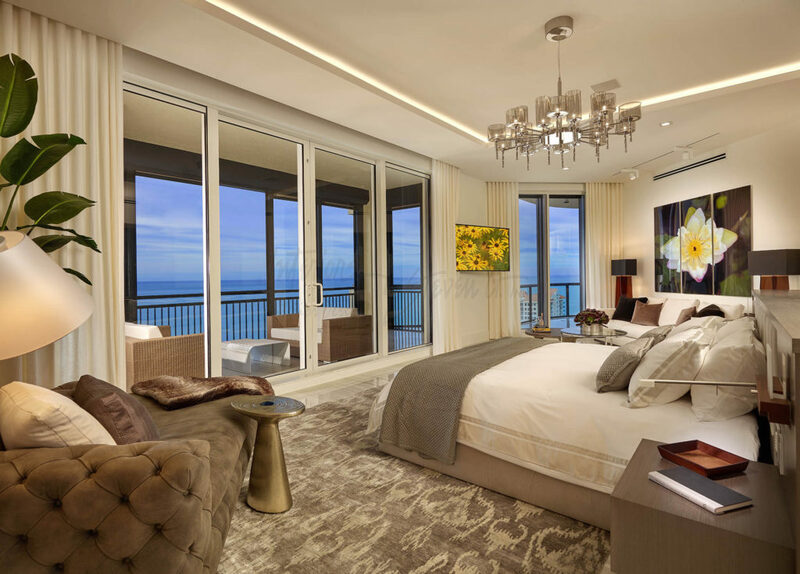 The penthouse also has a private elevator, fitness room and sauna, and its own automation system to control lighting, audio and room temperature. 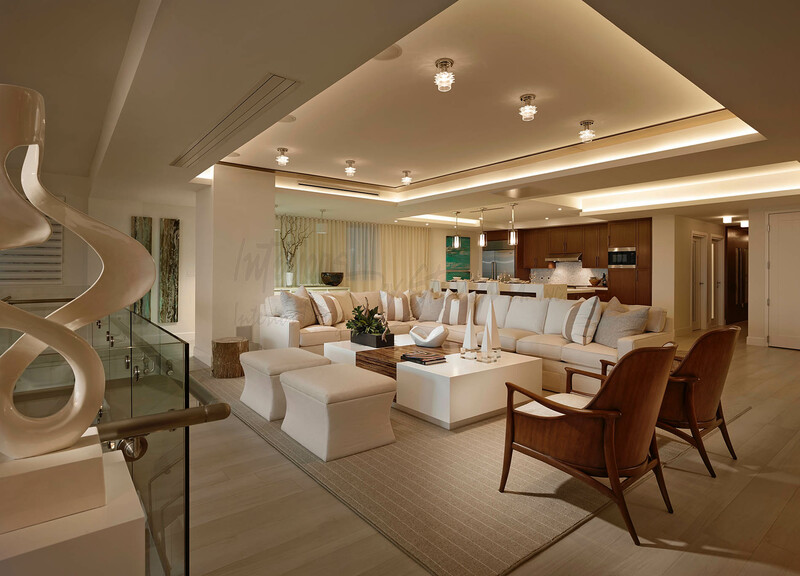 When it comes to interior design, nothing was too luxe for this soft contemporary home. 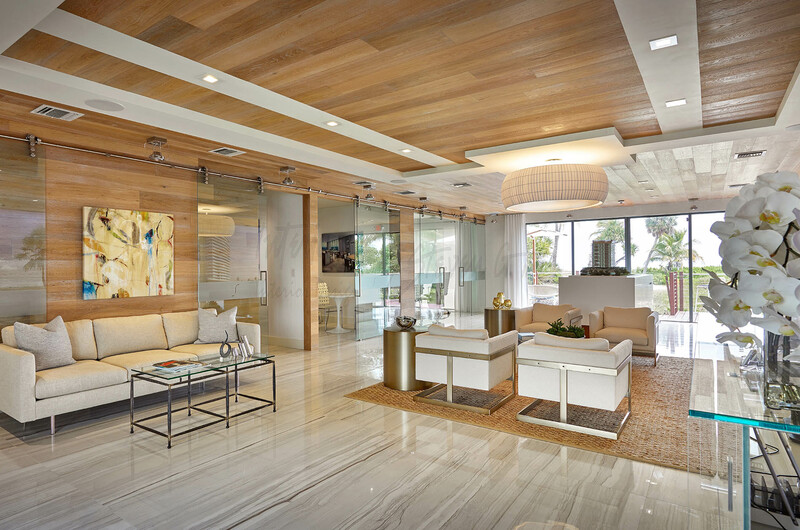 Steven G used beautiful striated Italian porcelain flooring throughout the penthouse (inside and out) for cohesion, scale, and to accentuate the home’s fresh and warm color palette. 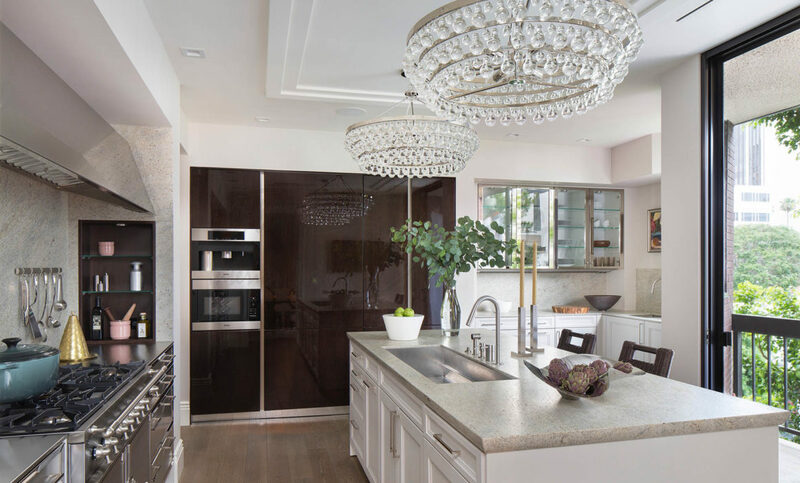 The kitchen features dazzling white quartz countertops, custom millwork, and sleek Italian melamine. 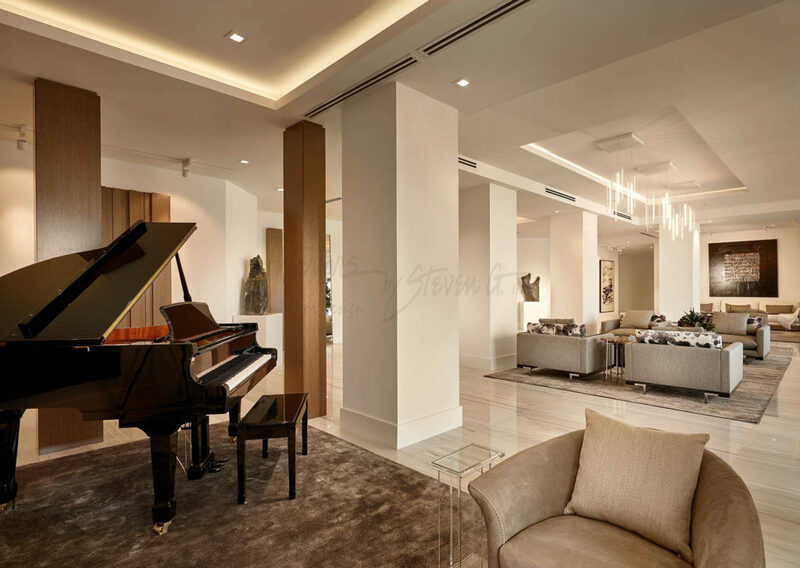 Comfortable, high-end furniture and one-of-kind accent pieces (including a baby grand piano) helps the home capture that cozy yet luxurious atmosphere. Touches of natural wood and organic elements make the space feel serene and welcoming, and bold artwork is featured throughout the home to infuse pops of color. 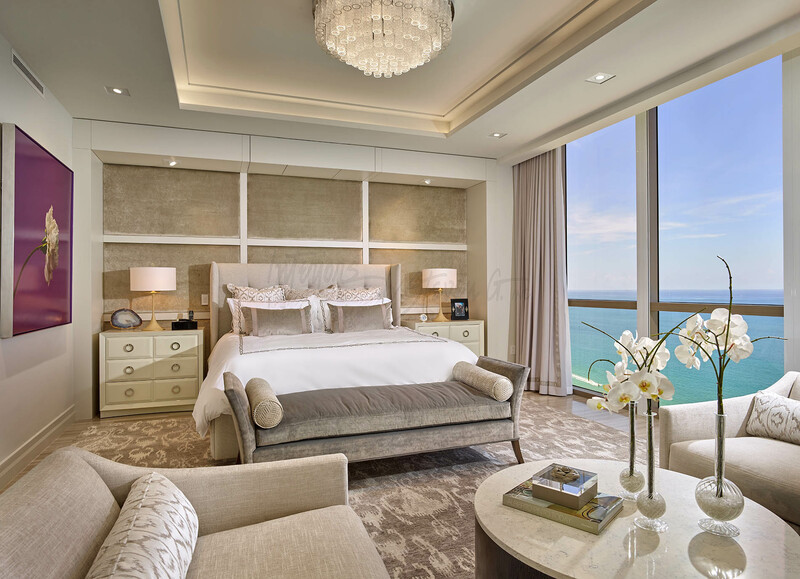 This penthouse is the very definition of sophistication and elegance… no wonder it made history! Visit the gallery to learn more about Steven G’s exquisite, record-breaking design.